One of the first things that will catch the eyes of visitors at Pitt’s Homewood Community Engagement Center is a massive black and white photo, behind a transparent garage door, offering a peek into the bustling Homewood community from decades ago. 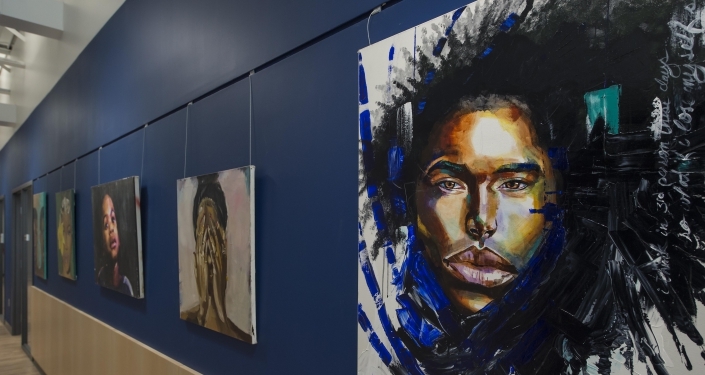 And once they get in the space, Ellerbee, a Pittsburgh native and Pitt alum, wants to help bridge connections between community members/leaders and Pitt as the center celebrates its grand opening Oct. 18. The CEC will offer community residents and visitors a variety of services, including mentoring, legal consultations, IT assistance, career information sessions, health and wellness events and more. 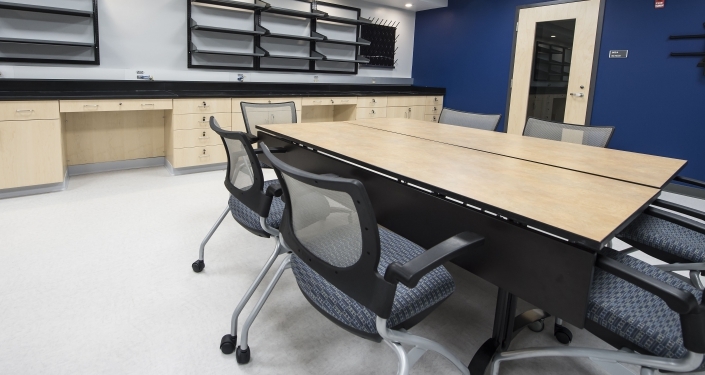 The completed Phase 1 of the center includes classrooms, art and photo galleries, a computer lab, a science room, a dining room/kitchen area, a “mess” room that can accommodate potentially messy projects and several other meeting spaces. 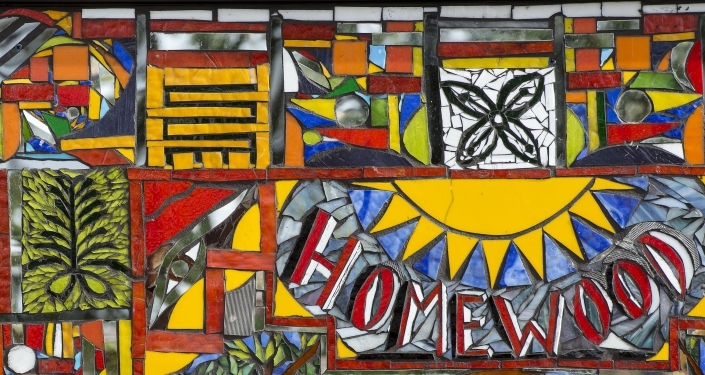 The art gallery will feature pieces from local Homewood artists. Pieces will rotate since they’ll also be for sale. Phase 2, tentatively scheduled to finish fall 2019, will include dedicated health and wellness spaces. CEC Homewood also will have a dedicated office suite for Pitt-Assisted Communities & Schools, or PACS, with the School of Social Work. However, that’s just a fraction of the Pitt organizations that will frequent the center assisting the community with its needs. Ellerbee said the CEC will give Pitt faculty, staff and students more chances to engage the community. And students will receive some hands-on professional experience that can’t be found inside a classroom. 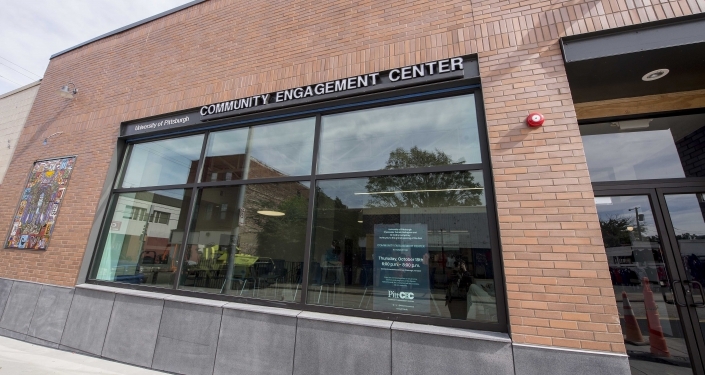 An important part of “The Plan for Pitt,” the University’s strategic plan, the Community Engagement Centers have been under discussion since 2016. Kathy Humphrey, senior vice chancellor for engagement and secretary of the Board of Trustees, has been a staunch supporter of the program since the beginning, Ellerbee said. It’s also a part of Pitt Neighborhood Commitments, which plans to strengthen community relationships through a minimum 15-year commitment on infrastructure and programming, according to the University. Another planned CEC will focus on Pittsburgh’s Hill District. Ellerbee, who took on her position with the CEC in July 2017, said the respect she’s gotten from community members “means the world” to her. She said she hopes community members can see her and her work as a source of inspiration. “I want to say a lot of people see me walking around and they see themselves, they see their cousin, they see their daughter,” Ellerbee said. “I'm pretty much the manifestation of a lot of hopes and dreams and prayers that people have for young people. Because my life could've went left at any given point in time. CEC Homewood’s grand opening will take place from 6 to 8 p.m. Oct. 18 at 622 N. Homewood Ave.